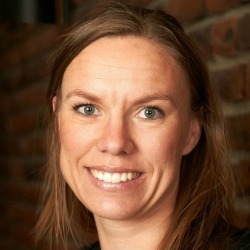 Signe Bock Segaard holds a Ph.D. in Political Science, University of Oslo and has worked as Senior Researcher at Institute for Social Research in Oslo since 2009. Segaard is member of the International Programme Committee of EVOTE2014. She has published on civil sector, trust and social capital, (electronic) democracy and politics, election and voters. Segaard, Signe Bock (2011) Social Capital and Organisational Affiliation among Ethnical Minorities (Sosial kapital og organisasjonstilknytning blant etniske minoriteter). In: Dag Wollebæk & Signe Bock Segaard (eds.) Sosial kapital i Norge. Oslo: Cappelen Akademisk. Segaard, Signe Bock (2010) Ways to Local e-Democracy – Organisation, Goals, Means, and Results (Veje til lokalt e-demokrati – organisering, mål, virkemidler og resultater). Oslo: Akademisk Publisering. • Under what circumstances are active citizenship roles as opposed to narrower consumerist roles likely to occur? • Does it make a difference if the providers belong to the public, private or the nonprofit sector? • Are there differences between welfare services where there is broad party consensus about the need to curb costs, as opposed to services where there is competition about improvement and expansion between the parties? • Do the institutional logics by which welfare service contracts are allocated to providers and expectations coordinated matter, i.e. is there a shift from government to governance? The project will strengthen stakeholders’ critical awareness of consequences of outsourcing and user choice for active citizenship. The project involves researchers from Norway, Sweden and Denmark and provides a comparative perspective on the Scandinavian welfare societies. This project examines how new social media such as Facebook, YouTube and Twitter change the conditions for participation and influence in public sphere, and analyses the consequences for citizenship and democracy. Modern technologies enable new social practices by reducing transaction costs related to production and publication of information, and by making new tools for coordination available. The project focuses on the interaction between technological possibilities and the social practices that are formed through the use of technology. Our assumption is that this interaction creates new possibilities for individuals and groups, but at the same time established institutions will try to adapt to the new digital environment with the aim of strengthening their influence and position. The project analyses how institutional and non-institutional actors use social media strategically. An evaluation of the combined effect of these efforts on how public sphere and democratic institutions and processes function will also be undertaken.